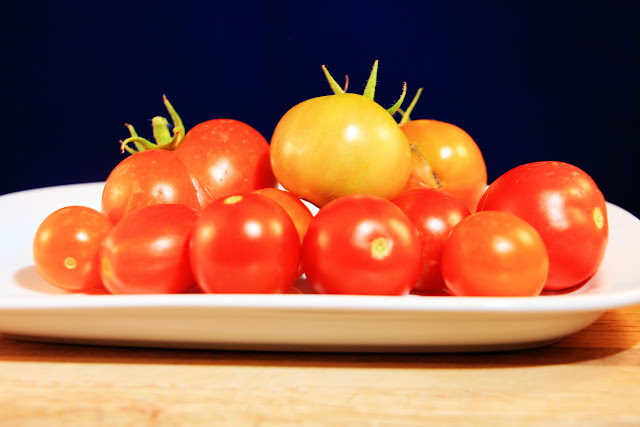 This week we had some beautiful tomatoes. Just not very many, or very big. Still, tomatoes. And they made a lovely accompaniment to our dinner! Oh wait, that wasn't us. 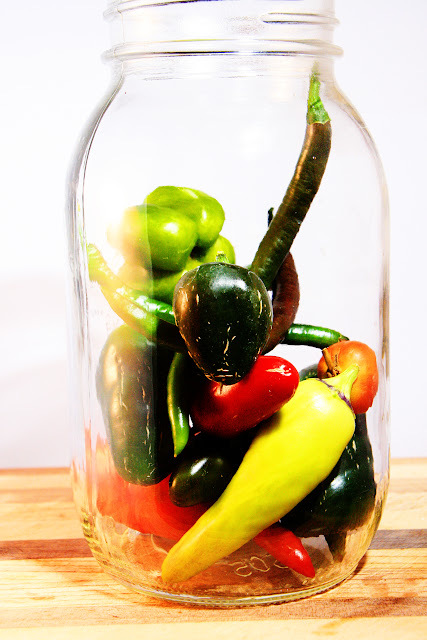 We did pick a variety of lovely hot peppers (and one sweet banana pepper...) so we can't complain! We're also still pulling in lots of strawberries (yum) and we've been finding fun ways to use them (YUM!). And a few ears of corn too, though I think we'll be having a lot this week. The latest squirrel casualty is the basil. Ugh. We've got a live-trap though, so hoping he'll relocate soon. Those are some beautiful tomatoes and peppers! Love all those colors! Nice harvest! I picked some peppers this week too...but not a peck of peppers. I'm gonna pickle them and can them. 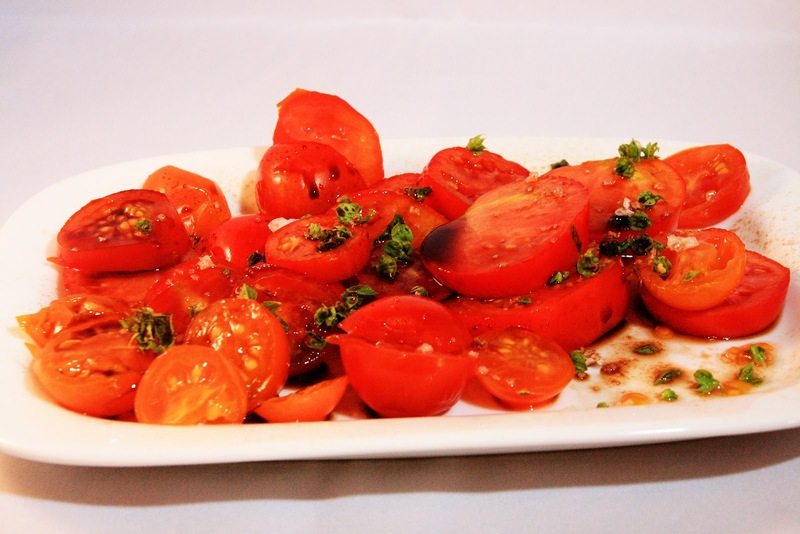 Such a pretty platter of sliced tomatoes, I can almost taste the sweet sun ripened flavor. great harvest; those chopped tomatoes look like my lunch today; tomatoes, garlic, basil on sourdough bread!